CES 2019 showcased some amazing tech products. We’ve rounded up our best picks to show you new tech coming in 2019, and beyond. Now that the 2019 Consumer Electronics Show has ended, it’s time to look back at the best new tech unveiled during the week. There are so many high-tech gadgets arriving soon that are out to make your day-to-day life even more enjoyable. To help you sort through the best of the best, I’ve rounded up a list showcasing the top finds at the show. With everything from new 4K TVs to innovative new smart home devices, there’s sure to be products from CES 2019 that fascinates you. With that in mind, let’s take a look at my list of hot new tech gadgets coming soon. TCL televisions have made waves since first arriving on the North American market. The combination of quality and affordability make the brand a clear frontrunner for your entertainment needs. At CES, the company unveiled their new 75” 6-Series 4K with built-in Roku OS smart features. This is the largest 6-Series model in TCL’s lineup, great for those wanting a large screen combined with Roku smart TV functions! Heralded as a CES 2019 standout by critics, the Samsung 2019 QLED 4K TV is a powerful option for entertainment connoisseurs. QLED picture quality is touted as even better than OLED, and the screens offer a wider viewing angle. Best of all, gamers will fall in love with the television’s Freesync VRR and auto game mode features. Freesync actively works to eliminate screen tearing, while auto game mode enables the TV to detect when game consoles are connected, and automatically switches to the Game Mode picture setting. Xbox One consoles were given as an example for these features, allowing you to enjoy smoother Xbox gaming with an optimized picture. The recipient of the 2019 CES Best of Innovation Award is worthy of your attention. The LG SL9 provides 500 watts of thrilling Dolby Atmos or DTS:X surround sound and comes equipped with Google Assistant built-in. LG soundbars are renowned for their immersive, quality audio, and this favourite from CES 2019 continues that trend. Jabra is well-known for their Bluetooth wireless headsets for smartphones. In recent years, the company has been making big strides to deliver over-the-ear headphones with exceptional audio quality. The Jabra Elite 85h is their latest offering and it’s a frontrunner for the best headset at CES 2019. This wireless device features an impressive battery life of up to 32 hours to keep you listening to your favourite music at home or on the go. Jabra headphones continue to be an incredible audio solution for those wanting crystal clear sound and wireless versatility. At CES 2019, Dell unveiled the XPS 13, a revamped version of last year’s popular laptop with new features and enhancements. The biggest change is the webcam has been moved from the bottom up to the top bezel, and at 2.25mm in size it’s the smallest webcam Dell’s ever built. The laptop also features an Intel Whiskey Lake CPU that provides a significant performance enhancement for multitasking and heavy use. Another big improvement is the variable torque hinge, which makes opening and closing the lid much easier. With so many great improvements this is sure to spark even more interest in the Dell XPS 13. Huawei is tech industry leader known for its powerful laptops. During CES 2019, the company impressed with its MateBook 13 focused on power and practicality. The laptop features the latest Intel Whiskey Lake processor for fast performance when multitasking. Another key feature of the MateBook 13 is diminutive size—it’s just 0.58 inches thick and weighs a mere 2.82 lbs. The display is another big highlight, it uses a 3:2 ratio for more screen real estate compared to traditional 16:9 ratio screens. You also get a stunning 2160 x 1440 (2K) screen resolution to make your web browsing and software look crisp and detailed. This laptop is looking like another success for Huawei’s MateBook line. Catering to your budget, the Galaxy A6 is Samsung’s latest smartphone with affordability in mind. This value smartphone features a Super AMOLED Infinity Display that displays bright, rich colours to bring out the vividness of your photos, apps, and web browsing. The smartphone also supports expandable storage up to 400GB to hold your videos, music, and files. For selfie aficionados, the Samsung Galaxy A6 has 16MP front and rear cameras to capture stunning, lifelike photos of your favourite moments. As well, the F1.7 aperture on the rear camera will keep your pictures clear and bright even in low light situations. The Galaxy A6 is a welcome addition to the popular Samsung Galaxy line! When you’re on the go for long periods, your phone is going to need an energy boost. 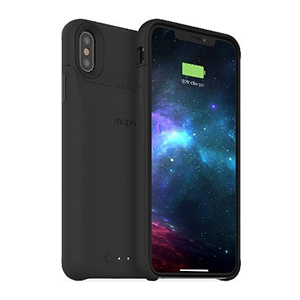 That’s where the Mophie Juice Pack Access comes in, offering up to 31 hours of additional battery life for iPhone and Samsung smartphones. The Juice Pack Access also doubles as a phone case, so it’s no wonder it’s a clear favourite during CES 2019. This new KitchenAid product caters to all those aspiring chefs out there. The Cook Processor Connect is an all-in-one kitchen appliance that makes preparing your favourite foods easier. The device will mix veggies as they sauté, whip eggs, knead dough, slice up ingredients, steam food, measure the weight of ingredients, and more. Best of all, the device connects to your smartphone to make recipes easier to follow. 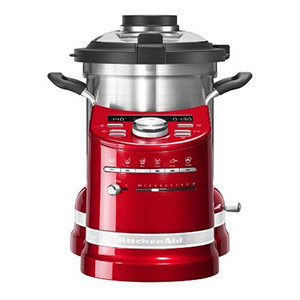 KitchenAid appliances have proven once again why they are at the cutting-edge of cuisine. At CES 2019, Lenovo unveiled their newest innovation: the Lenovo Smart Clock. It aims to help you wake up better each morning through its ability to connect with smart home technologies like Google Assistant. This pairing means you can control the alarm clock by simply using your voice. It also features a gentle wake-up mode where the clock face slowly glows brighter 30 minutes before the alarm goes off—giving you a gentler rise and shine. Well, wraps up our list of the best new tech products shown at this year’s CES. One thing is certain, there’s a lot to be excited about! Previous articleBest Shoulders Workout – Raise the Roof! Riley has written about video games across several publications for almost a decade now. In his eyes, there’s really no better field to work and grow in. Outside of games, he’s also a fan of hockey, wrestling, and most Canadian things. You can find Riley over on Twitter @TheRileyLittle.